JAS Timber Merchants are renowned for supplying timber construction materials of superb quality, teamed with a dedication to consistently-professional customer service. As well as our vast, diverse and comprehensive selection of Timber Mouldings ranging from small glass beadings to 430mm wide door casings, Timber Decking in softwood, hardwood and composite low-maintenance Dura-deck and glass+metal deck systems from Richard Burbidge Fusion and Cheshire Mouldings Axxys, Panel Products from flooring chipboard, real-veneer plywoods to solid pine and oak jointed-boards, Flooring materials in softwood, hardwood and oak, Stair Parts from Cheshire Mouldings and Richard Burbidge, Kitchens Bedrooms & Worktops, from J&J Ormerod and Allied Kitchens, Joinery Products from our own workshop - stairs, window-frames, yard-gates and door-casings, Roto Roof Windows and loft products, and general Tools & Hardware, we also stock a choice collection of Doors and Door Handles designed to allow you the freedom to create the perfect aesthetic for your property. The functions of a door are many, from privacy and insulation, to security, space management and fire prevention. At JAS Timber Merchants, we have a large stock of doors from JB Kind, LPD Doors, Mendes Doors, Premdor and XL Joinery, and can also create tailor-made commercial fire doors cut to specific sizes with bespoke glass vision-panels. As well as being safe, stylish and cost-effective, our choice of internal, external, and fire doors range in style from classic to modern; varnished, natural wood-grain doors are particularly attractive as each is unique due to natural v, cut to specific sizes and shapes. As well as being safe, stylish and cost-effective, our choice of internal and external doors range in style from classic to modern; varnished, natural wood-grain doors are particularly attractive as each is unique due to natural variations in the grain. Along with our choice collection of internal and external doors, of which the bi-fold variety is particularly popular at the moment thanks to its elegant charm and luxurious look, we also supply French, pair, patio, cabinet, louvre, wardrobe and garage doors - JAS Timber Merchants is truly a one-stop shop! We also supply all of the Hardware required to complete your chosen door, from latches and locks to door sills and draught strips. Door handles are of course part of our extensive product portfolio and we can quickly deliver from stock any of our products, which are produced by some of the biggest names in the field including Atlantic, Carlisle Brass, Eurospec, Fortessa, Frelan, Frisco, Hoppe, Karcher, Securit and Stormguard. One of the brands of door furniture supplied by JAS Timber Merchants is Atlantic UK, a family-owned and -run company that has been building its impressive reputation since it was established in 1989. 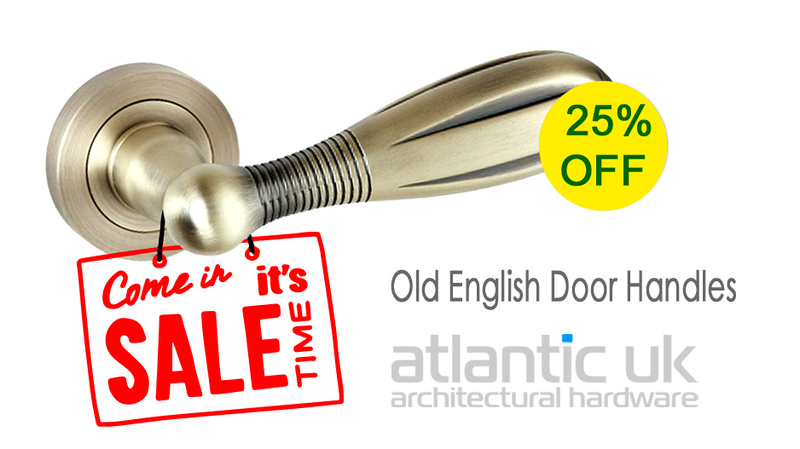 All of Atlantic’­s distinctive, signature ranges of door handles are available, including the artistic Senza Pari Square Lever collection, traditional Old English and the evocative Mediterranean Designer Range. Please enjoy browsing the many quality doors and door handles available now from JAS Timber Merchants. For more information or advice on any of our products and services, please call 01254 54000 or click ‘Contact’ and fill in the form.